If you’ve never been to the gutter, welcome. I’m glad you made it. Roc is untouchable. This entry was posted in Didn't Know, Freeway, Knowledge The Pirate, Music Tracks Videos and News, Roc Marciano, Video on 02/23/2014 by vega. The post Roc Marciano ft Freeway and Knowledge The Pirate – Didn’t Know (video) appeared first on The Crypt. This past weekend at The Geto Boys show local MC Staxx announced he had a special guest in the building and earlier in the night the host said that Freeway was in the building but everyone forgot atleast I did. All of sudden during Staxx set Freeway emerged out of nowhere blessing dude with a track (below) and drove all the from Philly to do it. Then for a little bonus he performed “What We Do”. Check it out. The post Freeway – “What We Do” Live in Boston (video) appeared first on The Crypt. This entry was posted in Boston, Boston Rap, Freeway, Live, Music Tracks Videos and News, nuthin to lose, review, State Property, Staxx, The Middle East, Video, what we do on 07/03/2013 by vega. WOW, I’m surprised! Not by how awesome Freeway brings it on this track which he does, but in one week Babygrande has managed to drop more videos for Freeway than their labels whole roster in the past 10 years (I kid). I’m not sure if it’s a good or bad thing, one things for sure, it’s good for Freeway. Real smooth beat by Mike Jerz and Nikki Jean has a real nice voice, pick up the album Diamond In The Ruff right now on iTunes and in retail stores tomorrow, anyone know if a vinyl is droppin? This entry was posted in Babygrande, Freeway, Music Tracks Videos and News, Nikki Jean, Sweet Temptations, Video on 11/26/2012 by vega. 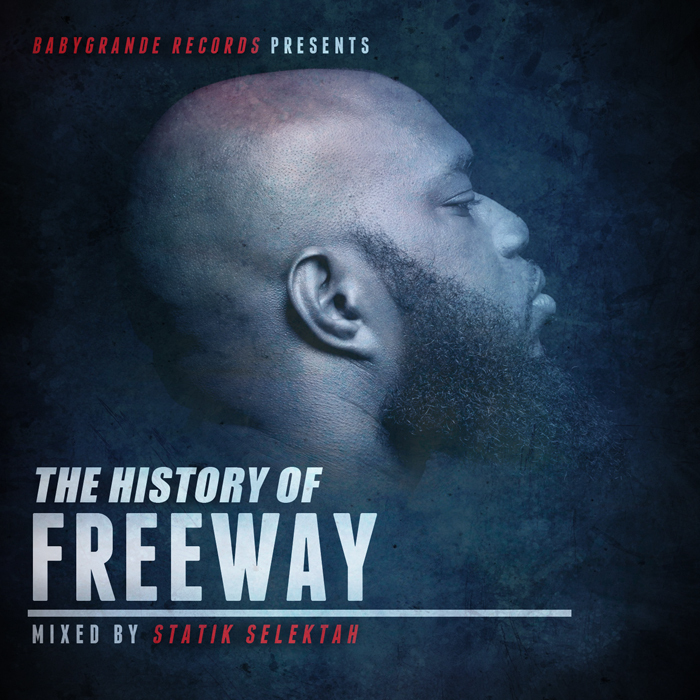 Babygrande Records presents The History Of Freeway, mixed entirely by the Showoff himself, DJ Statik Selektah. Statik picked some of the most popular as well as some of the rarest gems from Free’s illustrious career to make the most comprehensive Freeway mixtape ever compiled. This entry was posted in Boston, Freeway, Music Tracks Videos and News, Statik Selektah, The History of Freeway on 11/26/2012 by vega. The 1st video off Freeways upcoming album Diamond In The Ruff which is droppin’ on Babygrande so color me interested. It drops Nov 27th make sure to look out for that. This entry was posted in Freeway, jungle, Music Tracks Videos and News, Video on 11/22/2012 by vega. This entry was posted in Freeway, indie, Interview, Music Tracks Videos and News, Video on 11/21/2012 by vega.